My loyal readers are well aware that I utilize my slow cooker quite regularly. In the cooler months of the year when my family is super busy and always on the go, the slow cooker is my go-to for ensuring that I have home-cooked, wholesome meals ready at day's end for my family. In the warmer months, my slow cooker allows me to keep my oven off (and kitchen cool) while still cooking up some of my family's favorite comforting dishes. I was recently introduced to an exciting new product, the SeparAide™. It is a kitchen-grade silicone slow cooker strainer that will revolutionize that way that we use our slow cookers. 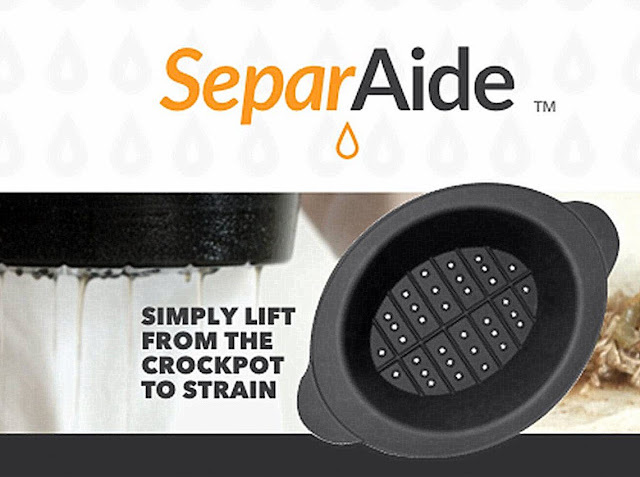 I am working with SeparAide™ to share their concept with folks who love cooking and those who often turn to their slow cookers when preparing meals for their families. I'd love for you to check out this new product and to see for yourself how it will bring ease to your slow cooker cooking. 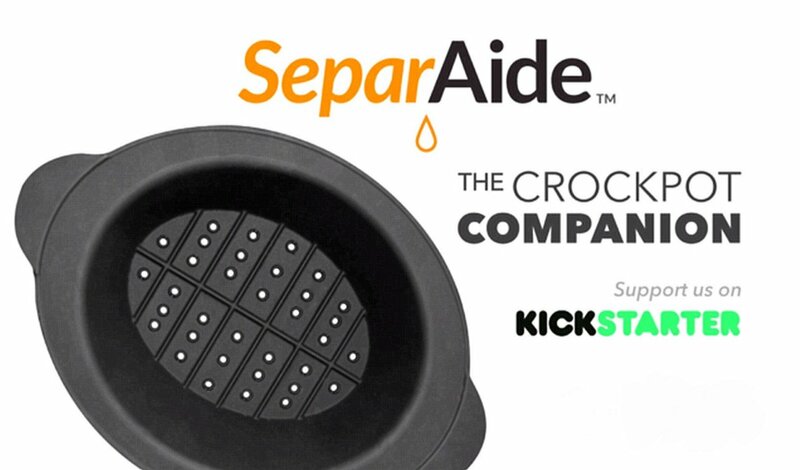 Watch their short video, follow along with them on social media and support the SeparAide™ Kickstarter campaign to help launch this awesome new gadget into the mainstream marketplace. Disclosure: This is a sponsored post on behalf of SeparAide™. Sponsorships help with the costs associated with operating and maintaining Joyously Domestic, the blog. All opinions and views regarding this product expressed within this post and on any social media are 100% my own. I do not accept payment or sponsorship in return for simply providing positive feedback or review. Looks so cool. I hope it is available to buy soon. We are excited to bring this to the masses! wouldn't fit mine, it's round.